Cleveland fans took the day off to watch the Indians break the American League record for most consecutive wins. When choosing between going to work and sneaking off to the ballgame, Wednesday afternoon, Rick Stanford and his buddies made an executive decision. "I called the day off," Stanford said. "Coming to watch a great game! Who doesn't want to be here? "Twenty-one!" cheered Matt Janosek. "It's a team record." "It's history!" Nick Thomas chirped in. 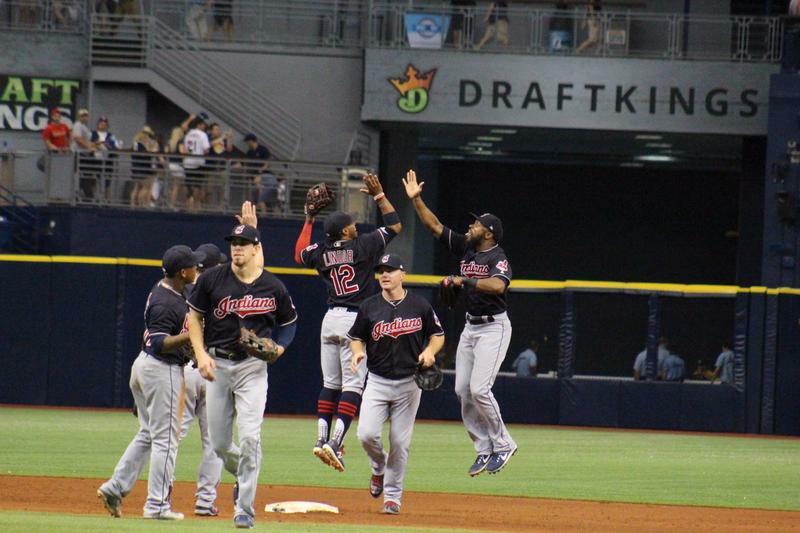 It was a chance for the Indians to notch the most consecutive wins in American League history. 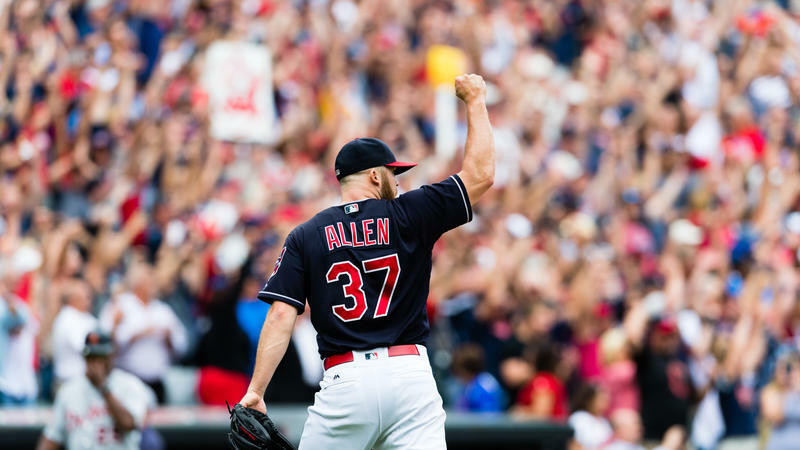 About 30,000 fans were on their feet to see Indians closer Cody Allen seal the team's 21st consecutive win. As streaks go, Cleveland's is a doozy. This isn’t a team a team that squeaks its way to victory. The pitching is dominating and the hits are relentless. The Indians have scored more home runs alone than all runs scored against them. Over the course of 189 innings, they’ve only trailed in four of them. But Cleveland also has a long history of sports losses, a legacy of promising teams that let victory slip away at the last minute. Many fans are still disappointed the Indians lost Game Seven of the World Series last year, after a momentum-crushing rain delay. But Ozell Dobbins says he doesn’t believe in the Cleveland Curse. "No man, that’s been broken," Dobbins asserted. "The Cavs won a championship; it’s our time. I mean, the Tribe should have won last year. If it wasn’t for the rain, we would’ve won last year. Cleveland was also the place where another famous baseball streak ended in 1941. Yankee slugger Joe Dimaggio’s 56-game hitting record was halted by Indians pitching. Rose Campisi, 96, has vivid memories of that historic match-up. "Even though the Cleveland fans wanted their team to win, they still admired DiMaggio," she says. "They still had a lot of respect for him. Which shows that the human heart is kind and likes people on the other side of the fence as well as the one on your side." The current Cleveland win streak has kept Campisi glued to her TV set. She says the secret to their success lies in all of the talent, spread evenly across the team, including her favorites, Francisco Lindor and Jose Ramirez. "I think that the players are very close to each other," Campisi adds. "They’re all working together toward the same goal." 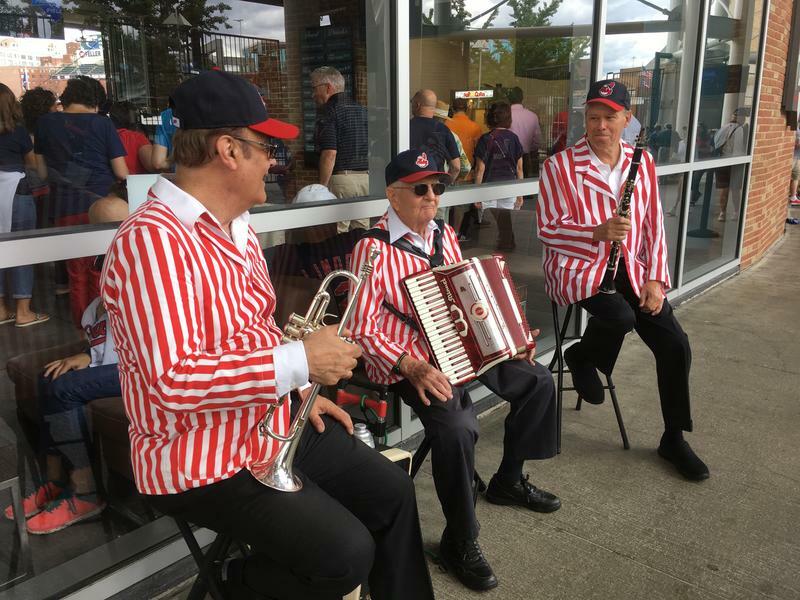 As fans swarmed out of Progressive field yesterday afternoon, t-shirt vendor Vern Thompson said he was on a streak of his own. "This has definitely blown away our best Indians week ever; it’s been crazy," he smiled. "We’ve re-ordered, like, four times now. It’s been awesome and we’re going to continue to ride the streak." Cleveland is looking to continue the streak Thursday night when they face the Kansas City Royals. A win would put them past the 1935 Cubs and just six games away from besting the all-time winning streak of the modern era --- the 26 games the New York Giants won consecutively in 1916. Major League Baseball passed its first big trading deadline this week, and the Indians took a pass on headline-grabbing deals. Our sports commentator, Terry Pluto, notes that last year the Indians traded top prospects for relief pitcher Andrew Miller. Terry, what did the Indians do this week to pull away from the pack of teams with good -- but not great -- records. The Indians are entering a crucial part of their up-and-down season. 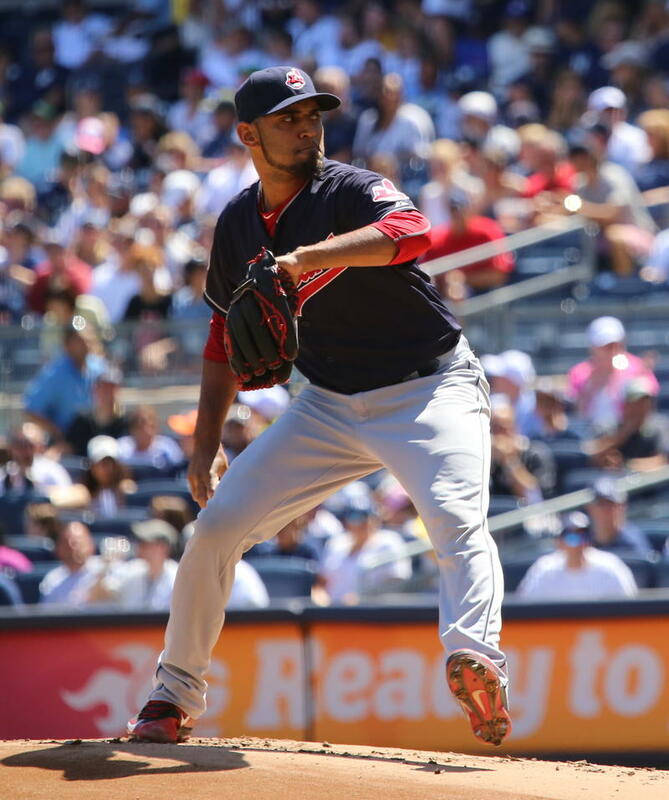 The team has six weeks to distance itself from the rest of the AL Central division for a return trip to the playoffs. The Indians are in first place in the division, six games ahead of Minnesota and Kansas City. And, the team has an important week, with road series against against those two teams. The Indians are sending five players to next week’s All-Star game. That's the most since 2004. WKSU commentator Terry Pluto says each player has taken a different path to the top. 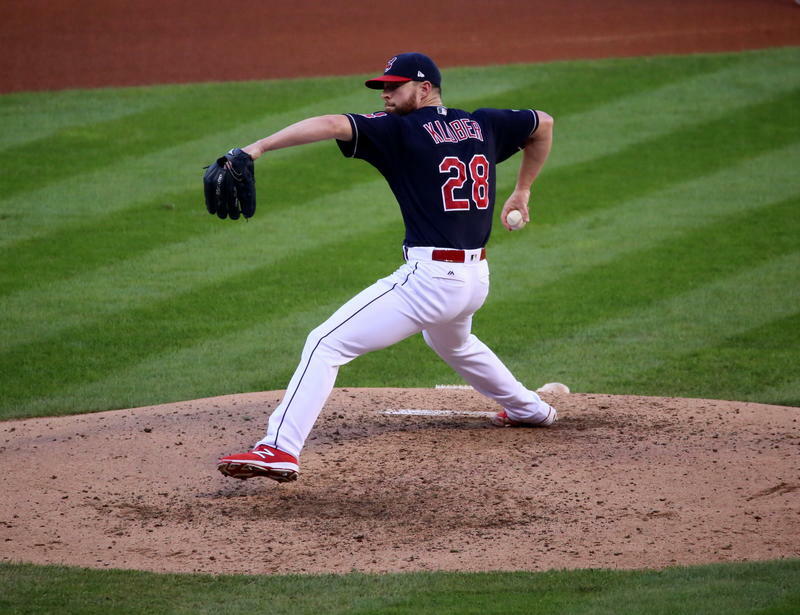 Corey Kluber: "He's from Texas and went to Stetson University, which is in Florida. So he wasn't even highly recruited." Pluto says Kluber was drafted by the San Diego Padres, but was barely on their radar. "He wasn't even in the top 30 prospects within the Padres organization."